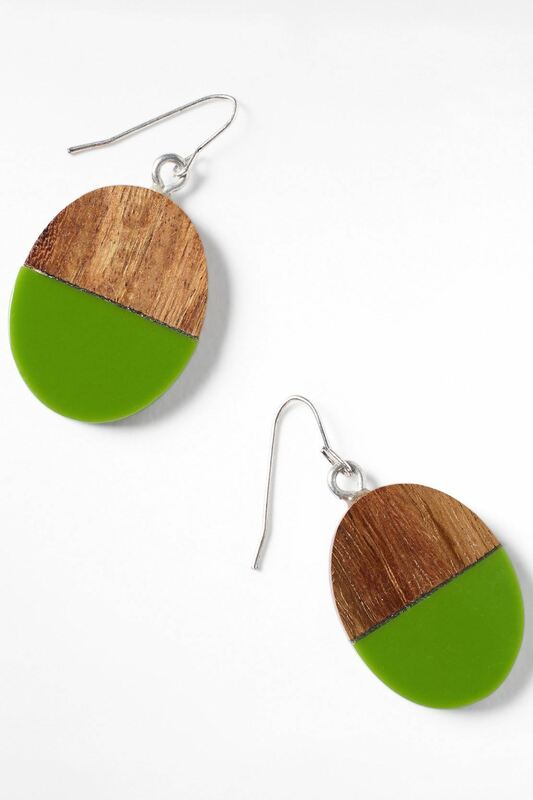 A smart but playful addition to your jewellery box, our Wood & Resin Drop Earrings will remix your everyday outfit. A smart but playful addition to your jewellery box, our Wood & Resin Drop Earrings will remix your everyday outfit. Featuring a wood and resin design, White Stuff have also placed them on a silver tone fish hook.